Dr. Cu Huy Ha Vu’s 3rd week of hunger strike in jail. Take urgent action, Now! Project 88, June 10, 2013 - Dr. Cu Huy Ha Vu, prominent Vietnamese lawyer and activist, sentenced to 7 years of imprisonment for spreading anti-government propaganda in 2011, started a hunger strike on May 27th, 2013, to protest against maltreatments by jail officials. 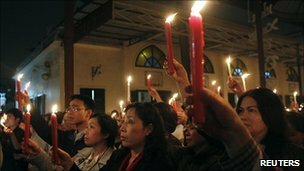 In an open letter on June 4, 2013, his wife, attorney Duong Ha, described the situation as follow: "... he is being severely maltreated through his detainment at Prison No. 5 – Department of Police in Yên Định, Thanh Hoá. The staff at this prison are intentionally disregarding the articles of the law applicable to their prisoners, particularly to Dr Cu. His most recent letter of denunciation has been suppressed for 180 days without reply, and so in protest Dr Cu Huy Ha Vu has had no other option but to go on a hunger strike. On 4 June 2013, Dr Cu Huy Ha Vu reached his 9th day of hunger strike, his health rapidly deteriorating. His life is highly threatened as he has a congenital heart disease, along with multiple illnesses acquired throughout his imprisonment." - talk to Dr. Cu Huy Ha Vu about the resolutions of issues that constituted the reasons for his hunger strike. - cho phép bác sĩ của gia đình và đại diện các tổ chức nhân quyền quốc tế tới thăm TS Cù Huy Hà Vũ, để dư luận được biết về tình hình sức khỏe của ông. - trả tự do cho các tù nhân chính trị." On behalf of all members of my family, this is an urgent appeal for help. My husband, Dr Cu Huy Ha Vu, was sentenced to 7 years imprisonment and 3 years parole by the Socialist Republic of Vietnam. His crime: “propaganda against the Socialist Republic of Vietnam”, judged through a “public hearing but secret trial” in Hanoi. 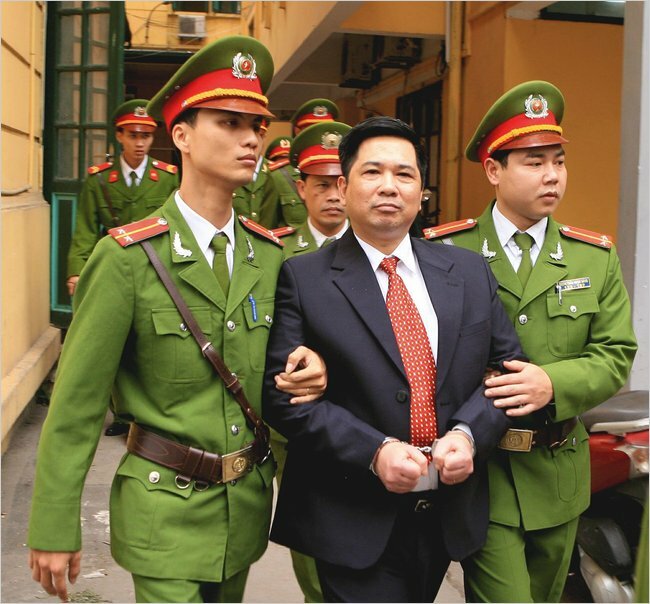 Those aware of the efforts of Dr Cu – to purge his country of corruption and disregard for human and environmental rights – view this sentence as an atrocity committed by the “National Jurisdiction of the Socialist Republic of Vietnam”. All that Dr Cu has said, published, and done has been validated; the Vietnamese community support his scrutiny as a sign of progression in the country. Cu Huy Ha Vu has always served his country and his compatriots; determined to shape the future of his nation and its people for the better. However, he is being severely maltreated through his detainment at Prison No. 5 – Department of Police in Yên Định, Thanh Hoá. The staff at this prison are intentionally disregarding the articles of the law applicable to their prisoners, particularly to Dr Cu. His most recent letter of denunciation has been suppressed for 180 days without reply, and so in protest Dr Cu Huy Ha Vu has had no other option but to go on a hunger strike. On 4 June 2013, Dr Cu Huy Ha Vu reached his 9th day of hunger strike, his health rapidly deteriorating. His life is highly threatened as he has a congenital heart disease, along with multiple illnesses acquired throughout his imprisonment. We have sent several urgent letters of denunciation to the relevant leaders of the Party the Nation. We request the liberation of Dr Cu Huy Ha Vu; or at the very least an improvement in the conditions of his imprisonment. However, to date, we have not received any reply. Please view with compassion the situation of our family at this critical time. Please raise your voices and use all means possible to rescue Dr Cu Huy Ha Vu. We sincerely and humbly seek help from the individuals, the organisations and international political authorities – asking you to come to the rescue of my husband, an honest citizen, an intellectual who loves his country and his compatriots. A court in Vietnam has sentenced legal activist Cu Huy Ha Vu to seven years in prison for spreading anti-government propaganda. Mr Vu, who was arrested in November, had called for an end to one-party rule. The verdict will draw criticism from rights organisations, who had before the half-day trial called for his immediate release. His family has also questioned the legitimacy of the trial. Mr Vu’s defence lawyers walked out of the Hanoi courtroom after their demands were rejected by the judges. Revolutionary backgroundMr Vu was sentenced to seven years in jail and three years of house detention afterwards. The presiding judge said his behaviour had been harmful to society. Through his writing and interviews given to foreign media, the 53-year-old legal expert advocated a multi-party system and called for democratic reforms in Vietnam. He also tried to sue the Vietnamese prime minister twice over a mining project he said would harm the environment. Mr Vu is the son of a celebrated poet who was also a leading revolutionary and confidant of President Ho Chi Minh. 1 Comment on Dr. Cu Huy Ha Vu’s 3rd week of hunger strike in jail. Take urgent action, Now! Thank you for creating this method to support Dr. Cu Huy Ha Vu and to ask Vietnamese authorities to address his complaints. I have sent a message, adapted from the one your site suggested, to the National Assembly and Ministry of Public Security. I tried sending the message to the Prime Minister but the site there is being revamped so the message didn’t get sent. I’ll try later.